We want to show our appreciation for you by showing you and your guests a great time! LIVE MUSIC. LINCOURT WINES. SMALL BITES. 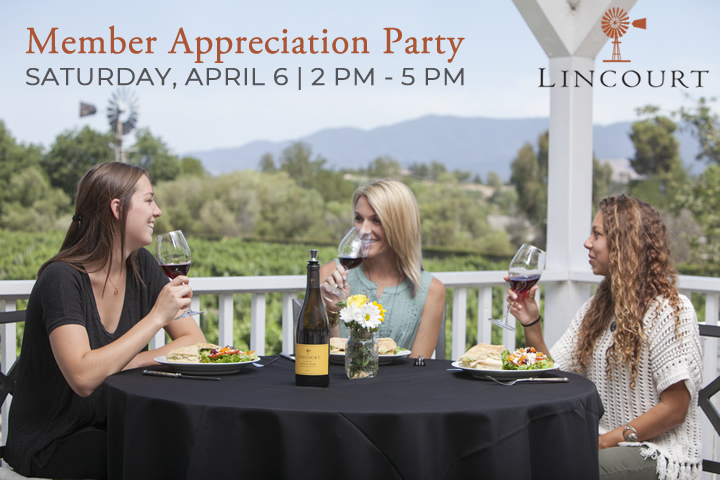 Come enjoy a delightful spring day in Solvang at Lincourt and enjoy an afternoon of live music, Lincourt wines, and springtime-themed small bites! We will have barrel samples to taste, lawn games to play, prizes to win, and lots of Lincourt love to show!